There are many things in this world we don’t pay attention to. Today we are going to give you an information related to gas cylinder you use at your home. Sometimes we ignore important informations related to the things we use in our daily lives. We are talking about the code number written on top of cylinders near regulators. Even you would have noticed but ignored the number written on top of your cylinders, it is very important that you know about it. Actually the number on gas cylinder tell us about the expiry date of that cylinder, which indicates that after the expiry of that cylinder it can explode anytime. The number starts with alphabet A, B, C or D which is divided into four groups. The alphabet A indicates January to March, B indicates April to June, C indicates July to September and D indicates October to December. Along with the alphabets there is a number attached to it, for example :– A-17, which means your cylinder’s expiry date is from January to March 2017. 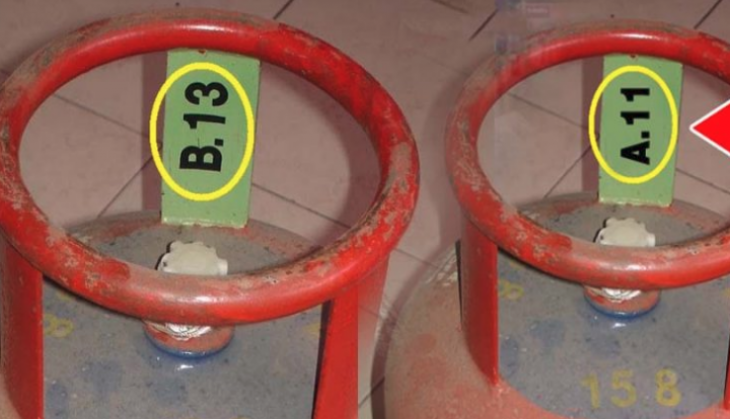 So, next time when you buy this gas cylinders, don’t forget to check the expiry date on it. Gas companies perform their duty by writing the number on it, but its you job to check the expiry date whenever you buy it. Many people still don’t know about it, so, please share this story with as many people as you can to inform them about this life saving information.